I went for an autumn hike up the mountain behind my house on Vancouver Island yesterday and came across tons of different kinds of mushrooms and fungi. I posted the following photos of Vancouver Island Mushrooms to Instagram and they’ve been getting a lot of attention (yay!) I’ve even had one person request prints of a couple of the images, so I thought I would share them here as well. Do you know which mushrooms are which? I have no idea what kind of mushrooms these are or whether they are edible or not, but they are beautiful and they have me imagining a little gnome community hiding out in the woods behind my house and that makes me smile. If you know what they are, I’d love for you to share your insight in the comments below? Have a look and don’t forget to follow me on Instagram for more great daily Vancouver Island and travel photos! GREAT NEWS from the Olympic Spirit Project! By now my Kickstarter project backers should have received their Olympic Spirit Project – Sochi 2014 rewards – postcards, prints, books, eBooks. If you have not received yours and you haven’t heard from me to let you know it’s on its way, it’s most likely because I’m still waiting on your mailing address. If this is the case, please shoot me a message with your mailing address and I will send it off to you. The Olympic Spirit Project Book – Print, ePub & PDF! Last week I announced that the Olympic Spirit Project – Sochi 2014 eBook was ready for download, YAY!! At the time, the eBook was only available in ePub format, so today I’m happy to announce that I’ve released a PDF version for those who do not have access to an ePub reader. “This book really captures the spirit of the Olympics games and the inspirational message they carry. Plus, it has beautiful photos! A perfect gift or coffee table book for any athlete or Olympics fan.” ~ Toffler N.
If you were glued to the television watching as Canada competed in Sochi, this book is an up close and personal encounter of being on the sidelines cheering with your fellow Canadians! If you were at the Sochi 2014 Winter Olympic Games, this is the perfect souvenir to keep those memories and Olympic Spirit fresh! This book is the perfect gift for any athlete or Olympics fan on your list! As I drove home from the gym one morning last week I decided to take a new route and was pleasantly surprised by the beautiful fall colors at the Abby Lane Farm Stand. As I came around the corner I was faced with hundreds of pumpkins in all shapes and sizes. There were pumpkins in buckets, in bathtubs, pumpkins in wheelbarrows, pumpkins in the back of a truck, pumpkins on tables, pumpkins under tables, pumpkins on chairs, pumpkins in barrels, pumpkins on shelves, and pumpkins strewn all over the grass. There were regular pumpkins, warted pumpkins, gourds, acorn squash, hubbard squash (warted green, red and blue), kabocha squash, buttercup squash, and spaghetti squash. I had never seen so many different varieties of squash and pumpkins all in one place! Abby Lane Farm consists of 56 acres of rich farmland located at 7233 Mays Road in Duncan, BC and has been owned by the same family since the 1960’s. In 1982, the farm was named after a combination of the family dog (Abby) and the Beatles song, Penny Lane, to become Abby Lane Farm. The farm was mostly used for cattle and growing hay over the years but in 2007 they started growing pumpkins. The largest pumpkin that they’ve grown to date weighed in at 1,689 lbs! Abby Lane Farmers pride themselves on following organic farming practices with absolutely zero pesticides and herbicides used on the farm. With Thanksgiving and Halloween happening this month, it’s the perfect time to head out to Abby Lane Farm for a horse wagon ride and to choose your perfect pumpkin! Be sure to visit a bank machine before you go, as they are a cash only farm stand. And please leave Fido at home, there are no dogs allowed at Abby Lane Farm. When you get your pumpkin home, try roasting the seeds for a nice healthy snack. Place them in a single layer on a cookie sheet and light roast them in a 160-170ºF (about 75ºC) oven for 15-20 minutes *Roasting them for a short time at a low temperature helps to preserve their healthy oils. After letting them cool down, sprinkle them with salt, or cinnamon sugar. Olympic Spirit Project Book is HERE!! A year ago today I made a life choice to leave the shackles of the corporate office world behind and to pursue my dreams a digital nomad. The year that I’ve had has been incredible! I learned all about creating and self-publishing a photo book!!! The 2014 Olympic Spirit Project Book is available in print and eBook format! This 40-page book of photography from the ‘Olympic Spirit Project’ is created through a love of sport and the examination of human emotion. Mariska Richters creates a dramatic collection of work that captures the diverse expression of national pride and Olympic spirit from around the world. Mariska’s work tells a powerful story through captured moments in time where lives are changed and memories of a lifetime are made. In this collection, Mariska gives us an intimate glimpse into Olympic Spirit that makes the Olympic experience so memorable. The eBook is available through both Blurb and iBooks. The eBook book is rich with links leading you to more detailed articles Sochi Olympic experience. Mariska Richters is a freelance photographer whose collection of works can be found at mariskarichters.com and across various online social networks. Raised in the Cowichan Valley, British Columbia, Canada, Mariska’s passion for capturing the human experience through images and words was born from her experience at the Vancouver 2010 Olympic Winter Games. She has attended three Olympics to date, and aspires to continue the Olympic Spirit Project in future. Proceeds from the Olympic Spirit Project will be put toward continuing this project in 2016 and beyond. I’d like to, once again, send out a HUGE thank you to my Kickstarter project backers who made the Olympic Spirit Project book – with special thanks to my corporate sponsor, Brandy’s Whistler – without all of you this book would never have been possible. You will all find your names on the contributors page of the book, as promised. I’m flooded with gratitude for the kindness and generosity from all of my family, friends and people I’ve never even met who helped make my Olympic dream a reality! Thank You all for this unforgettable experience! I’d like to send a special thanks out to a few people who were especially helpful to me on the ground in Sochi – Shauna, Greg, and Jordan – You guys are SUPERHEROES!! Shauna was at my side on almost a daily basis and was an adventurous partner in crime and the exact Olympic Spirit poster girl I was hoping for when I began this project! Thank You Shauna! Greg helped me out with Canadian Olympic Spirit swag when my luggage didn’t arrive and he provided me with much needed cold and flu medication when the Sochi Flu knocked me down. To top that off, he was my Olympic Spirit poster boy with his epic custom made Canada suit. Thank you Greg! You’re awesome, as always! Jordan helped me when I first landed in Russia and got me into the Canada Olympic House open house where I saw President Putin. He also helped me find the giant stack of postcards that I sent off to all my Kickstarter backers. Thank you! I’m happy to announce that I’ll be sending the eBook out to my Kickstarter backers as promised. You should be receiving it in your inbox soon. If you did not back the project, please visit the web shop to order your very own copy, or click the button below. Buy eBook! Buy Printed Book! This past weekend marked the beginning of the Savour Cowichan Festival in Vancouver Island’s beautiful Cowichan Valley. With 40 artisan food and beverage producers participating it will be an incredible 10 days of tastings and special events in the Cowichan Valley. Savour Cowichan runs from September 26 to October 5, 2014, be sure to check it out! 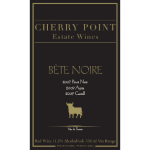 After visiting Cherry Point Estate Wines, we moved on to the Creamery at Cheese Pointe Farm. Anybody who knows me knows that I am a huge fan of cheese. And wine tastes best when accompanied by cheese. So naturally after visiting Cherry Point Vineyard, our next stop was the Creamery at Cheese Pointe Farm. Cheese Pointe Farm is family run by Hilary and Patty Abbott and features handcrafted cheese, artisan local treats and cheese tours. Unfortunately the cheese maker was away at the local Farmer’s Market, so we were unable to take a tour of the cheese making process, but I’ll be sure to go back soon to check that out. We did get a chance to sample some of the delicious local cheeses: camembert, blue cheese, squeaky cheese curds and a selection of flavoured cream cheeses. They were all simply delicious, the camembert was my favourite! Not only was the cheese delicious, the Cheese Pointe Farm itself was lovely. Cheese Pointe Farm is located at 1282 Cherry Point Road in Cowichan Bay, BC. They are openFriday to Sunday 11am to 5pm. Follow The Creamery at Cheese Pointe Farm on Facebook. Update: We’ve been notified that the farm at the Creamery at Cheese Pointe has been sold and will no longer be making cheese at this location. The nearest option would be Hilary’s Cheese in Cowichan Bay. This Saturday August 23rd, the Cobble Hill Fair will be celebrating its 105th year. 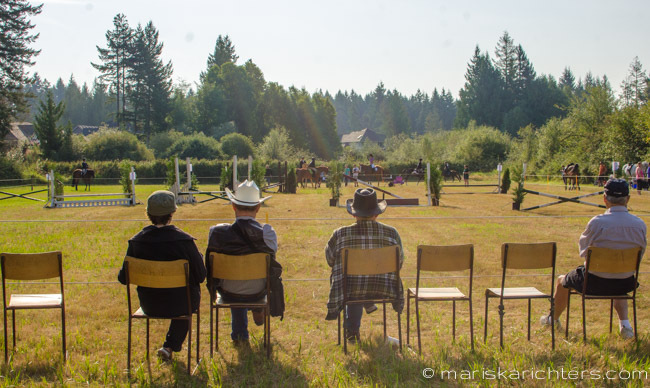 Visit the Cobble Hill Fair from 7am to 5pm for an old fashioned country fair celebrating South Cowichan’s agricultural roots and rural lifestyle. You’ll enjoy seeing livestock and poultry, domestic science entries, flowers and fruit, crafts, needlework, horse show, vintage machinery, stage entertainment and much much more. The Cobble Hill Fair is organized by the Shawnigan Cobble Hill Farmers Institute and Agricultural Society and is run by volunteers with aim to promote and celebrate the legacy of agriculture and support the education and participation of youth in agriculture. The day’s entertainment begins early with a pancake breakfast at 7am followed by a parade at 9:30am and the opening of the exhibition hall at 10am. Enjoy a full day of outdoor exhibits and activities with the whole family. This year not only marks the 105th year of the fair, but it is also the 100th anniversary of 4-H Clubs in BC. 4-H is a developmental program designed to build leadership qualities in today’s youth. Their motto is: Head, Heart, Hands and Health. Projects within 4-H can range from animal husbandry to bees, dogs, sewing, agriculture, crafts, photography, domestic science and so much more. Be sure to visit the 4-H displays and watch Club members show their animals at the fair. Visit the BC 4-H website for more information about the 4-H program or to find a club near you. Come join a full day of exhibits, activities and entertainment on August 23 from 7am to 5pm, in Cobble Hill on beautiful Vancouver Island. For a full list of events, exhibits and activities check out the Fair Catalogue. Parking is available at the Christian Church at 3805 Cobble Hill Rd on Fair day with a convenient shuttle to the fairgrounds. The fair is located in and around the Cobble Hill Community Hall at 3550 Watson Avenue, Cobble Hill, BC.